Cerenia is indicated for the prevention of acute vomiting and prevention of vomiting due to motion sickness in dogs. It is intended for use in dogs 8 weeks of age or older. Cerenia requires a prescription from your veterinarian. What is the most important information I should know about Cerenia? What should I discuss with my veterinarian before giving Cerenia? 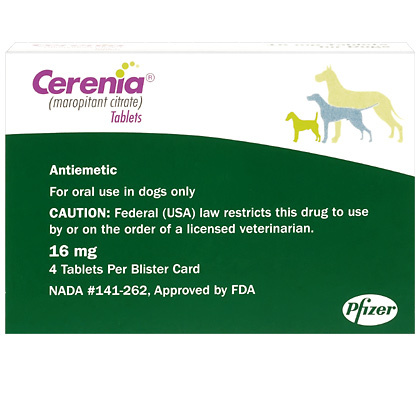 Give Cerenia exactly as directed by your veterinarian. If you do not understand these directions, ask your pharmacist or veterinarian to explain them to you. For prevention of motion sickness, Cerenia should be given 2 hours before traveling, but you should not feed your pet for at least 1 hour before giving Cerenia. Blood tests or other medical evaluations may be required by your veterinarian to monitor your pet. Store Cerenia at controlled room temperature (68-77 F). Keep this medication out of the reach of children and other pets. What are the possible side effects of Cerenia? What happens if I miss giving a dose of Cerenia? What happens if I overdose my pet on Cerenia? What should I avoid while giving Cerenia to my pet? What other drugs will affect Cerenia? For prevention of acute vomiting, Cerenia should be given orally at a minimum dose of 2 mg/kg body weight once daily for up to 5 consecutive days. For prevention of vomiting due to motion sickness, Cerenia should be given orally at a minimum dose of 8 mg/kg body weight once daily for up to 2 consecutive days. 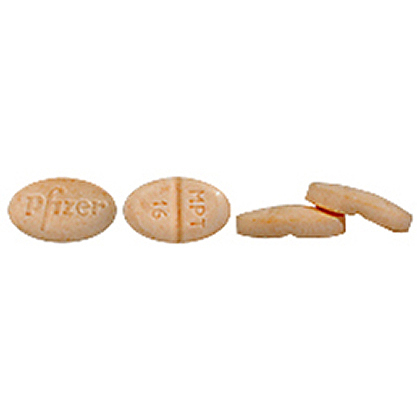 Dogs should be fasted 1 hour prior to administration of tablets. Administer 2 hours before travel. Store this product at controlled room temperature.